Info: ne We have just brought one of our original recipes into the 21st century. 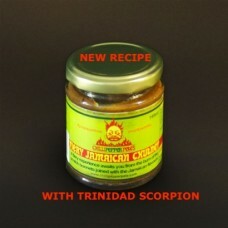 We have added some Trinidad Scorpion to make it live up to the tag "Fiery". 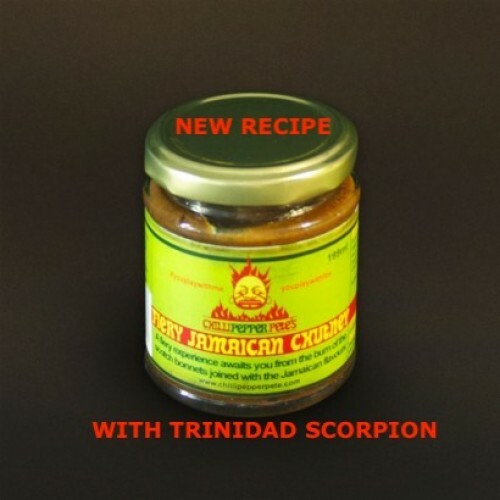 It's hot, it's sweet with the flavours of jerk sauce, and it's delicious. Eat it as part of a Ploughman's, in a sandwich or on the side with curry & rice. Smother chicken wings in Fiery Jamaican Chutney before popping on the bbq for the best chicken wings in town!